Microfinance has emerged as an integral tool for poverty alleviation. The program is continuously developing and is providing support to the microfinance institutes at national and international level through training and experiential learning. Microfinance is often defined as financial services for poor and low-income clients offered by different types of service providers especially the NGOs. The term is often used more narrowly to refer to loans and other services from providers that identify themselves as “microfinance institutions” (MFIs). These institutions commonly tend to use new methods developed over the last 30 years to deliver very small loans to poor and disadvantaged, section of the community who has no access to formal financial sectors, borrowers, with no collateral. These methods include group as collateral for lending and liability, pre-loan savings requirements, gradually increasing loan sizes, and an implicit guarantee of ready access to future loans if present loans are repaid fully and promptly. From a global perspective, microfinance organizations envision a world in which low-income households have permanent accesses to a range of high quality and affordable financial services offered by MFIs to finance income-producing activities, build assets, stabilize consumption, and protect against risks. 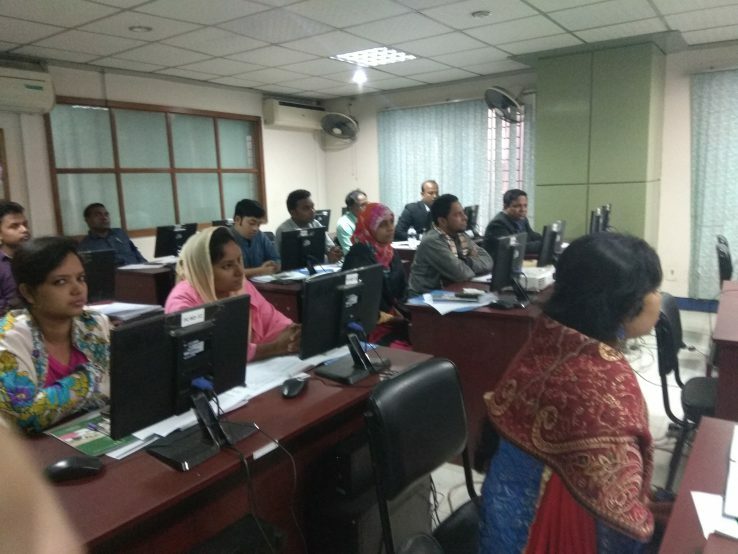 Keeping in view the significance of the Microfinance Training, TMSS Institute of Science and ICT (TISI) has designed and developed comprehensive training modules to meet the demands of the MFIs. TISI has a vast experience of training in different sectors all over the country. Microfinance has emerged as an integral tool for poverty alleviation.